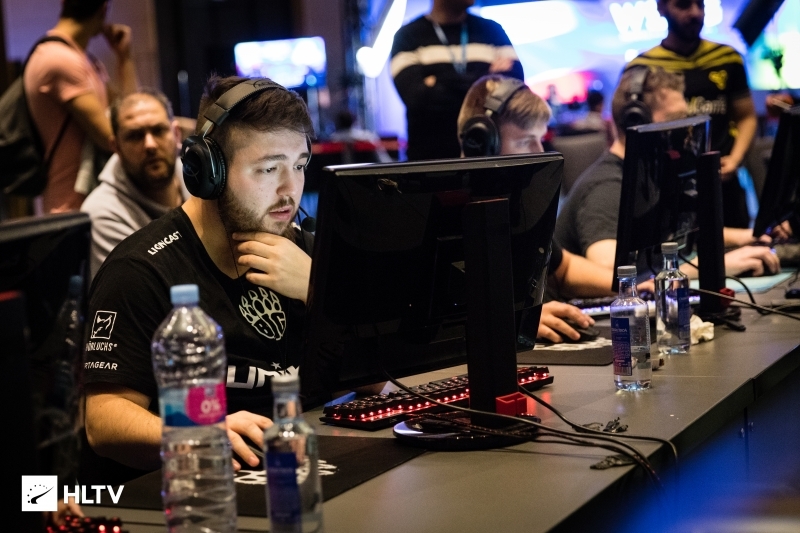 gob b: "Trying to use this kind of LAN experience to get our groove back"
After BIG kicked off WESG EU & CIS Regional Finals with a win over Nemiga, we had a chat with the team's in-game leader Fatih "gob b" Dayik about the issues the team has been dealing with. The German side cruised in the opener against Nemiga, controlling the game from the start. With all of the team performing to a reasonable level and Johannes "tabseN" Wodarz being very deadly, BIG closed out Cobblestone 16-6. After the game, we talked to Fatih "gob b" Dayik who discussed his team's issues and laid out the path to recovery. I wanted to go a bit back, at DreamHack Open Denver you finished top two, and after that came a period where you were a bit struggling, let's say. You finished second at ESWC and last in the online stage of ESL Pro League. What were the struggles and issues for you guys in that period? To be honest, we were also struggling before DreamHack Denver, but we always feel more motivated and more safe, I would say, when we play on LAN. More prepared, more powerful, everything. That's why we were better in Denver than online, but we still had our problems, we still struggled online and it showed in the EPL season. We still have a lot of problems at a moment, but we are trying to fix them, we are trying to be ready for the next really big tournament, that is the Major for us. So we are coming to WESG not prepared as we would want, and we still have a lot of problems so we trying to use this kind of LAN experience to get our groove back. Tell me then, coming here, you said you didn't prepare that much for this event, but what was the preparation like, what are you focusing on as a team now? We are focusing on our CT sides, we didn't talk about any T sides at all for this event because we have a lot of problems as CT and we are trying to fix them. There is still a lot of stuff to do for us and it's not so easy to fix it in one or two weeks. We also had a few days off because I couldn't attend practice. We had a hard time but we want to have a good tournament here so we can have a good mood going into DreamHack Winter, and we hope to fix as much as possible before DreamHack. Looking at the group here, what were the first expectations and thoughts on WESG? We have this group and we said it's doable for sure, but we don't want to underestimate any opponent, we want to go to the main event, we are not ready yet to play like in the summer, so we also have that in mind. We are motivated on LAN again and our first and only goal is advance to the main event. Obviously, we should say that it's an easy group for us, but we would rather say that at the moment we are struggling, we have a lot of problems so we can't underestimate one opponent here. We go into the games prepared and try to go to the playoffs, from there we go game after game and hope that we have our groove going and get a good placement here. You played the first game against Nemiga and it was a pretty good showing from you guys. What are your takeaways from the first match here? 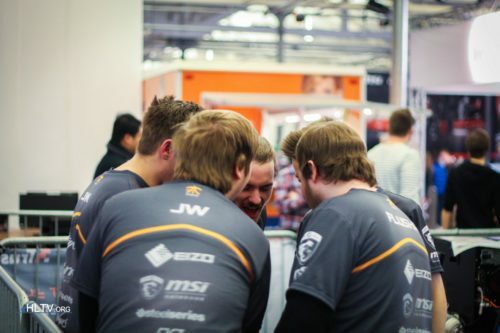 To be honest we thought that they were really strong, and I think they played really well, but I think that we were a little bit lucky, we won the right rounds, we won both pistols, then it looks easy, if you don't lose an anti-eco like we did online, every game. I think that they are pretty good to be honest, and I think that they can make the main event as well. They were one of the opponents I was looking to play against the most because I think they are a good team, they had some good online results before so we came in prepared and had some good reads on them. As I said, it was a good game from us, tabseN was really on fire again and if this goes on it's going to be an "easy group", but we can't underestimate anyone. Was this the good start you needed? Yeah, I hope. We will see in the next matches but I think that was the start that every one of us wanted and we are really concentrated as well, we knew if we had a good start that we can go into the tournament well. Everyone knows that the first game of the tournament is a little bit of a struggle. But everything was fine and I hope that we will have this going on in the next matches. Not really.. Dosia might be good, but still he's not that good. And comparing Hitler and Stalin is just ridicules, they are both worse at. One killed his enemy's ppenly and the other one secretly in Siberia. Disband even if I like you guys just disband..